From MS to lupus, from colitis to fibromyalgia to autism, Alzheimer’s and even to cancers; the autoimmune spectrum is wide and far ranging. What is autoimmune “disease?” Though it is basically inflammation brought on by overstimulation of the native immune system, ask a hundred doctors and get a hundred answers to what it is and how to treat it. Most MDs venture downstream to blast away at symptoms with drugs. Alternative docs have somewhat better ideas. Both emphasize “triggers” such as gluten, nightshades, molds or fifty other known allergens. A very few say take “the bullets” from the gun and the trigger just goes click. Autoimmune disorders start the same way when toxins, metals, pathogens and stray proteins enter the bloodstream where they do not belong, causing the body and its bacterial biome to “go nuts” wearing-out immune capability and allowing secondary chronic infections. Vectors of this pollution include leaky guts and leaky brain barriers where these membranes are nutritionally compromised and do not filter the outside world properly. Add on any toxins one eats, drinks or breathes or has intentionally injected into the blood stream as with vaccines or unintentionally via glyphosate and insect or snakebites or just trying to live in our industrial filth. Obviously the elimination of exposure is helpful, like removing “triggers.” Addressing root causes goes deeper. 1) Heal membranes. Since membranes are constructed of lipoproteins and the gut is lined with collagenous connective tissues a nutritional overhaul comes first. Avoid trans fats and oxidized vegetable oils, but raise the intake of Omega 3 and clean saturated fats with pastured animal meats, nuts and avocados to restore health and transport qualities of cell membranes. Heal gut lining with the aid of lysine/proline (or collagenous bone broths) and Vitamin C.
2) Balance gut biome. First decimate pathogen and parasite populations with oregano oil. Then eat a low glycemic/high fiber diet to stop feeding pathogens and yeasts. Lastly restore beneficials with ferments, probiotics and contact with soil and nature. 3) De-tox the system. There are many ways including chemical chelations or a green-vegetable heavy diet. My protocol dumps heavy metals, energizes liver/spleen and kidneys and is quicker and cheap. Oral megadose Vitamin C; Vitamin C powder mixed with half as much baking soda (becomes sodium ascorbate) taken 3,4,5 times a day half hour before meals and at bedtime. Dosage is individual and determined by bowel tolerance and may be anywhere from 2 to 10 grams per dose or 1 to 4 or 5 teaspoon fulls of Vitamin C until diarrhea happens. Chlorella, clays or charcoal are taken with meals to chelate positively charged metals mobilized by highly negative charged Vitamin C.
4) System reboot. Though mega Vitamin C also acts as an immune oxidant, stronger measures may be needed like IV Vitamin C, hyperbaric oxygen/HBOT, or ozone treatments. Hydrogen peroxide and MMS chlorite have also been employed by some physicians on the theory that oxidizing existing antibodies/antigens allows fresh naive immune factors to be produced. Immune support items will also speed recovery. Be sure mineral levels are up to snuff; magnesium, potassium, zinc, selenium, iodine and traces such as found in spirulina, seasalts, seaweeds and seafoods. It is beneficial to get plenty of sulfur compounds in the diet to help cells maintain glutathione levels; N acetyl cysteine/NAC, R Alpha Lipoic acid/RALA, eggs, onions, garlic and brassicas. Try turmeric, bittermelon, ashwaganda, green tea, colostrum, cannabis and thousands of phyto-polyphenol antioxidants as various vegetables, berries, fruits and herbs provide. Some doctors also propose a metabolic angle to autoimmune conditions as well as most chronic diseases and rapid ageing. Good to eat a low glycemic diet easy on the sugar and grains and any white processed stuff with emphasis on fresh fruits, vegetables, nuts, fish, grass fed meats and dairy. The idea here is not to load more fuel (glucose) into cells than oxygen available. Unlike a tired muscle that takes a few painful minutes to recover, we never feel our overloaded mitochondria waiting for oxygen to arrive and neutralize the acids formed at the end of the Krebs cycle. Therefore it is wise to eat sparingly and infrequently allowing TIME for oxygen to show up. All diseases thrive on acidic conditions which destroy mitochondria, electron bioenergy and refuse oxygen. Cancers like other diseases are acidic/low oxygen/low energy phenomena that thrive on glucose and shift metabolism to anaerobic low yield pathways. Bacteria, viruses and fungi thrive in acidic environments and also love positively charged metals and contaminated cell membranes. 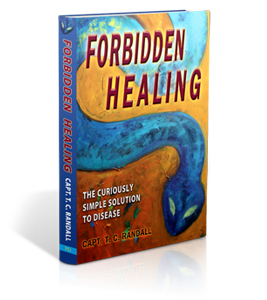 It’s all about oxidation/reduction, always has been….ForbiddenHealing.